Who's that Pokemon? It's... PERCY JACKSON!. 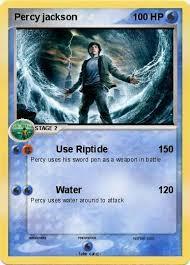 Percy Jackson pokemon card. Wallpaper and background images in the Helden des Olymp club tagged: photo percy pokemon jackson percy jackson percy pokemon card pokemon card jackson card jackson pokemon percy jackson pokemon card.